And I’m feeling SOME TYPE OF WAY. Pics after the jump! I ACCIDENTALLY CLICKED AN AD ON THE FP! I was trying to click the “load more comments” button but, thanks to Kinja’s amazing new I N F I N I T E S C R O L L, the next post loaded and shifted the page a little, so I wound up clicking the ad instead. As you can see, the (tiny) ad shows an Acura RLX. 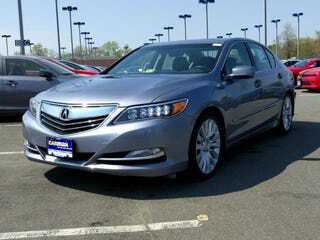 That is why I chose to show you an Acura RLX above. In case you forgot, here are more pictures of an Acura RLX.